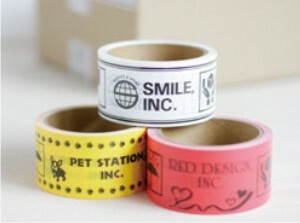 Design and print custom packing tape for your customers. Connects to your computer via USB or Ethernet network connection. Offer while-you-wait or same day service! Sell any quantity, from 3 yards to full 55 yard rolls. 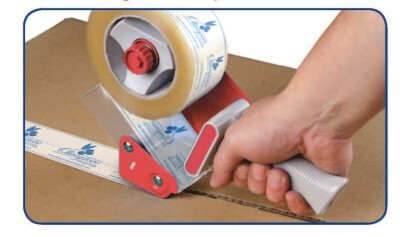 Standard tape width is 2 inches (other widths available by special order, call for details). 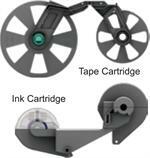 Paper Core is the item that the tape winds on to. Cores are offered individually or in boxes of 36.